From the Stallion 51 Facebook page. 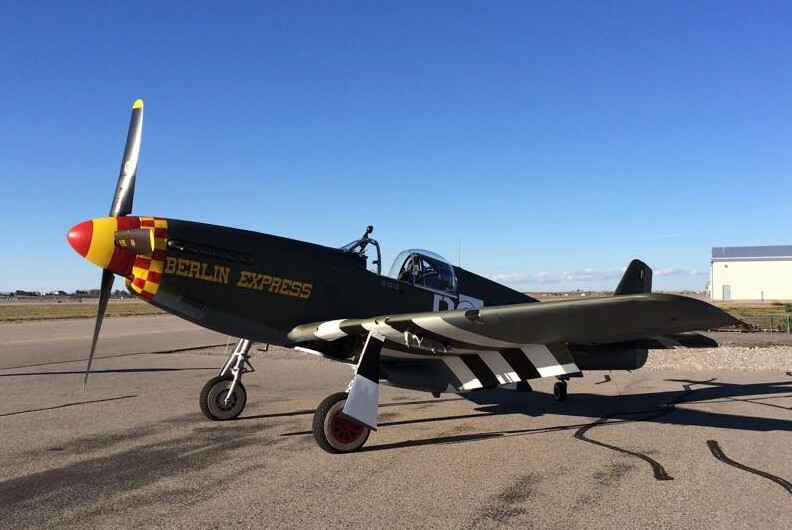 “Berlin Express” will be flying into Sun N Fun on Wednesday April 5th and will be on display on the Warbird Flighline in front of Stallion 51’s Mustang Corral with the dozens of Mustangs that are flying in to help Stallion 51 celebrate our 30th Anniversary. The restored fighter is based around the remains of P-51B 43-24837. This Mustang flew with the 9th Air Force’s 363rd FG out of RAF Staplehurst in Kent, England. It crashed in Beckley after the pilot was forced to bail out during a training exercise on June 10th, 1944. Sporting a “Malcolm Hood” canopy and wearing the markings for “Berlin Express”, Pacific Fighter’s newest Mustang is dressed exactly like the 357th FG Mustang which the legendary American ace Bill Overstreet flew under the Eiffel tower while successfully shooting down a Messerschmitt Me-109 in 1944.